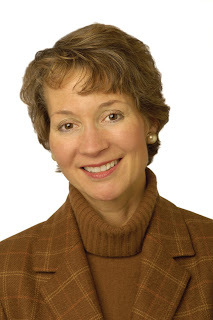 Lynn Casey is the chair and chief executive officer of Padilla Speer Beardsley. 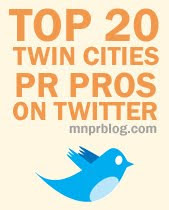 She took a few moments with Minnesota Public Relations Blog to share her thoughts on public relations. I've been blessed throughout my career with great clients, talented colleagues, and challenging assignments. Hitting the highlights is difficult, so how about if I describe the work that hooked me on our profession? It was my internship during grad school in the late 1970s -- creating Ramsey County's first public relations effort to attract foster parents. Children in need of foster care were far outpacing available homes. Something needed to be done, and on a shoestring budget. I gathered a few of my PRSSA friends, and we went to work on collateral material and a media relations campaign that moved the needle. Seeing the results, and knowing that those results were directly tied to better lives for scores of vulnerable children, galvanized my desire to make a difference through helping organizations communicate with the people who are important to their success. First, per the experience I shared in question one, what we do as public relations professionals really matters. It's a privilege and a responsibility to work with organizations to build and protect their reputations. Second, the learning never stops and it comes from everywhere, not just from our professional organizations, although they are tremendously important in furthering our sector's body of knowledge. Third, there is no substitute for experience. Many of us who enter this business are super-quick studies, but the seasoning that comes from repeated exposure to challenging client situations fosters judgment that builds over time. It can't be rushed. 3. Padilla Speer Beardsley was the premier founding sponsor of the John Beardsley Lecture. What do you think John Beardsley would have said about Dr. Michael Chorost's talk? One of John's favorite sayings was that everything is dead except the future. I'd put money on hearing that phrase if he'd been in the auditorium that evening. Exercise your curiosity muscles; soak up information and experiences from a broad base. Keep writing; it teaches you to think, and that's an ongoing journey. And get involved in causes you care about so you can understand advocacy from a first-person perspective. Not at this point. Thanks for the opportunity to weigh in, Brant.